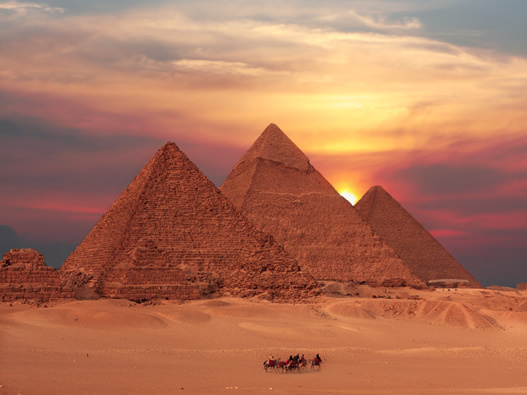 Travel the full length of Egypt on this holiday that takes you from Cairo to Aswan and back in a rich tapestry of history taking in ancient sites from the Old, Middle and New Kingdoms of Pharaonic Egypt. This is a leisurely way to explore the Treasures of the Nile where you will visit Luxor & Karnak Temples as well as Kom Ombo, Edfu Temple, Valley of the Kings and Temple of Hatshepsut. 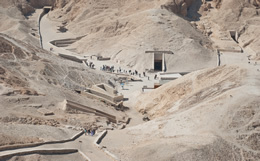 Perhaps the most impressive of Egypt's ancient sites is the Valley of the Kings and be enthralled by the magnificent tombs where the pharaohs of the New Kingdom are buried. 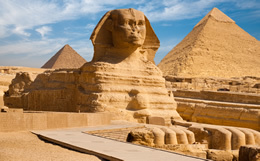 Visit: Giza Plateau - Pyramids & Sphinx, Egyptian Museum & Tutankhamen's treasure, Citadel of el Saladin, Valley of the Kings, Philae Temple, Edfu Temple, Karnak and Luxor Temples, Aswan. :: There will be opportunities to buy souveniers and works of art throughout the day. :: Opportunity to take part in an optional excursion. :: Cross to West Bank. Visit the Valley of Kings, the Temple of Queen Hatshepsut at El-Deir El-Bahari and Colossi of Memnon. :: Visit the Temple of Horus, one of the most complete pieces of architecture in Egypt dedicated to the Egyptian god Horus son of Osiris. :: Afternoon Free - at leisure. :: Visit the Temple dedicated to Isis on Philea Island then visit High Dam passing by the Old Dam of Aswan. :: View of the Elephantine Island, the Botanical Gardens, and the Agha Khan Mausoleum by Felucca. 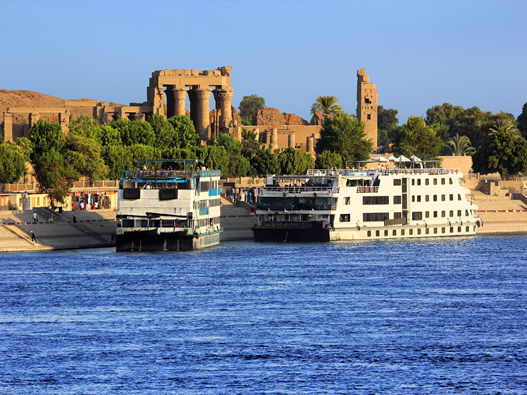 :: Sail to Kom Ombo and visit the Temple shared by the two Gods; Sobek and Horus. :: Continue sailing to Edfu. 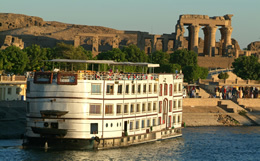 :: Sail to Esna, Cross the Lock and continue to Luxor. :: Belly Dancer or Nubian Show. 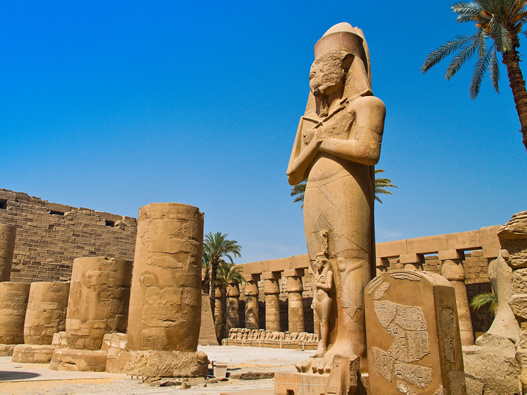 :: Visit Karnak and Luxor Temples. :: Opportunity for buying souveniers and shopping for bargains. :: Opportunity to take part in one of the optional excursions. :: Transfer to Train Station or Airport for transfer back to Cairo.